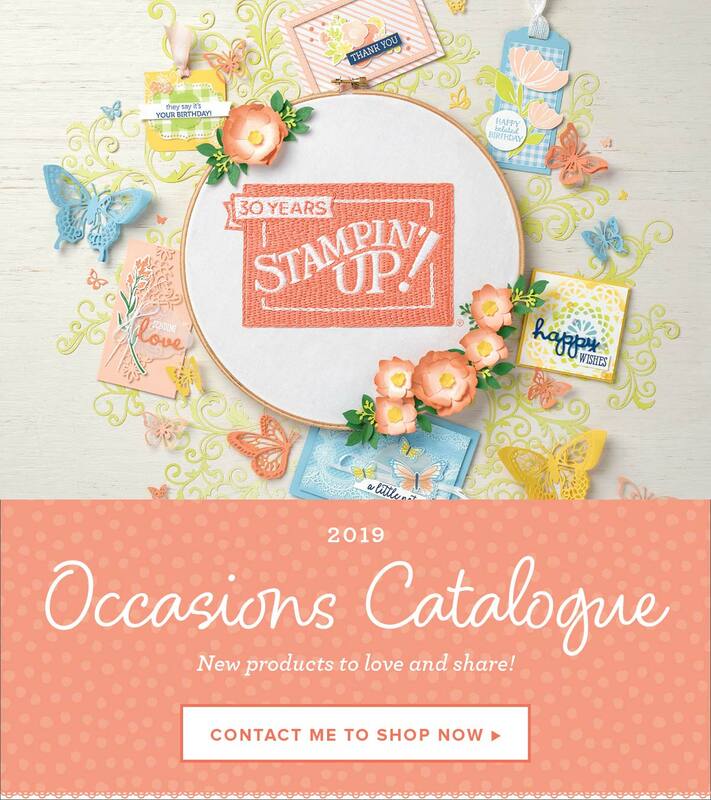 Stampin’ Up!® releases an annual and two seasonal catalogues every year. Links to download a PDF copy of current catalogues can be found in my sidebar. If you would like a physical copy of our current catalogues please fill out the request form and I’ll be happy to send one to you.